A little more than a year after closing its online poker room, Bovada has decided to re-open it, initially accepting players from nine countries: Argentina, Bolivia, Brazil, Chile, Colombia, Mexico, Peru, Venezuela, and yes, the United States of America. So is this what making America great again was all about? 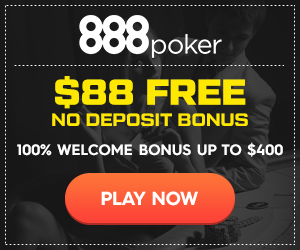 Bovada took full advantage of Black Friday, continuing to offer online poker to poker players in the United States after the likes of PokerStars no longer did, becoming, along with sister site Bodog, one of the largest poker networks on the internet and the largest U.S.-facing network. In August of last year, Bovada surprisingly shut down its poker room, transferring its business and player base over to Ignition Casino. Ignition essentially became Bovada, using the same software, keeping the same players, but using a different name. The sale was a bit of a mystery, though, as almost nothing is publicly known about its owner, Lynton Limited. Ignition continued to serve U.S. customers. And now Bovada has returned, open for business in the eight Latin American countries listed above plus the U.S. While there has been no indication one way or the other (aside from it not being included in the country list), some think there is a possibility that Bovada may enter the Australian market. Online poker rooms, including partypoker and PokerStars, are fleeing Australia because of new online gambling laws that will take effect in September that make it illegal to operate there without a license. There is no online poker licensing available, so companies are getting out lest they be in violation of the law. Though Bovada will accept U.S. customers, it will not allow people in New Jersey, Nevada, or Delaware to play on its site, as those are the ones with specific licensing regulations for online poker. It will also stay away from Maryland, likely because much of the legal trouble that the U.S. government has given online poker operators and related companies has stemmed from the state. Bovada will be on the PaiWangLuo Poker Network along with Ignition and Bodog. PaiWangLuo, a Hong Kong investment group, purchased the Bodog Poker Network in February and renamed it. The initial reaction many have had to this news is that Bovada must be re-opening its online poker room and accepting customers in the U.S. because Bodog founder Calvin Ayre is out of hot water with the U.S. Department of Justice. But that’s probably not the case, as Bovada’s sports book and online casino have still been up and running since the poker room closed. The company probably just decided that it wasn’t a fantastic decision to transfer its players to Ignition (or maybe it was – maybe Ignition paid Bovada a lot of money) and now wants to start the room up again to increase brand awareness and get sports bettors to spend some of their winnings at the tables.